The above products are available in bamboo and other eco-friendly materials. New items are being added often, so if you are on a search for something not shown, just ask us. 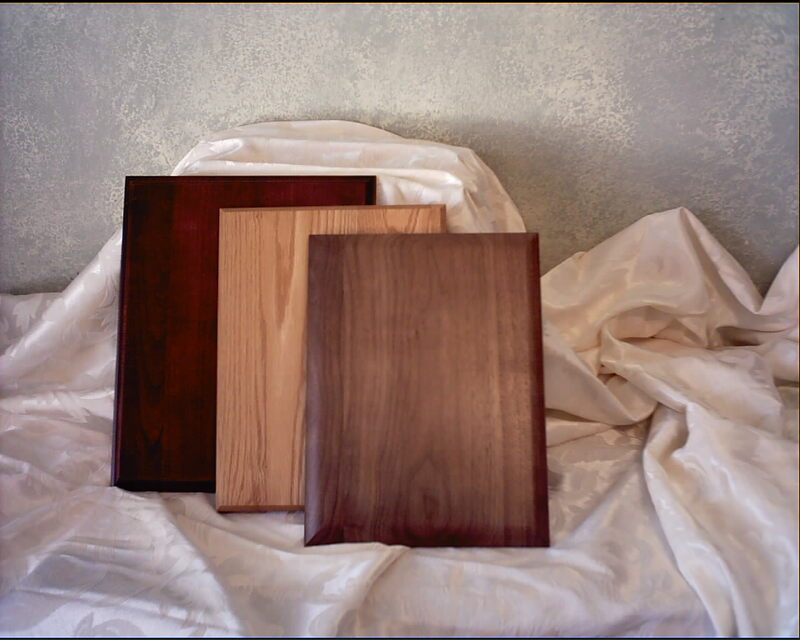 Shown above are a sampling of our walnut, oak and furniture quality cherrywood plaques. 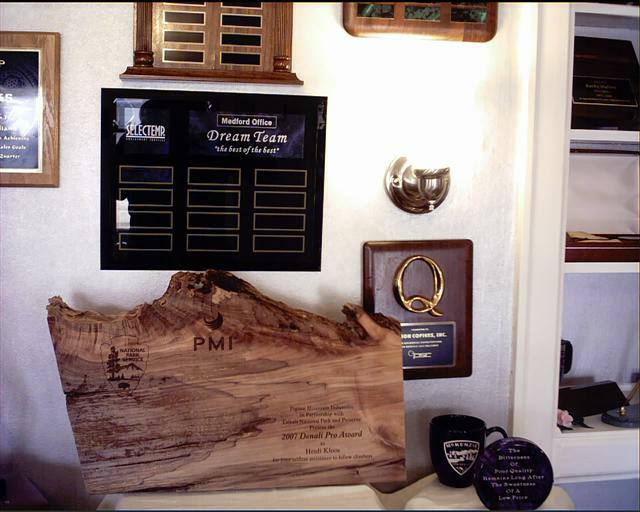 We also provide custom plaques made of alder, maple, pine, bamboo, mahogany and exotic woods. 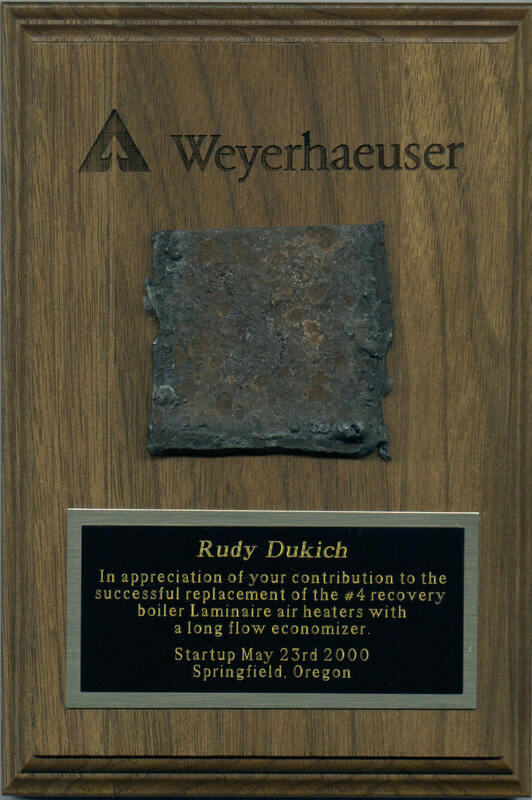 Plaques can be rectangular as shown above, or custom shaped. We also have plaques (see bottom of this page for more ideas) made of glass, acrylic and other materials. 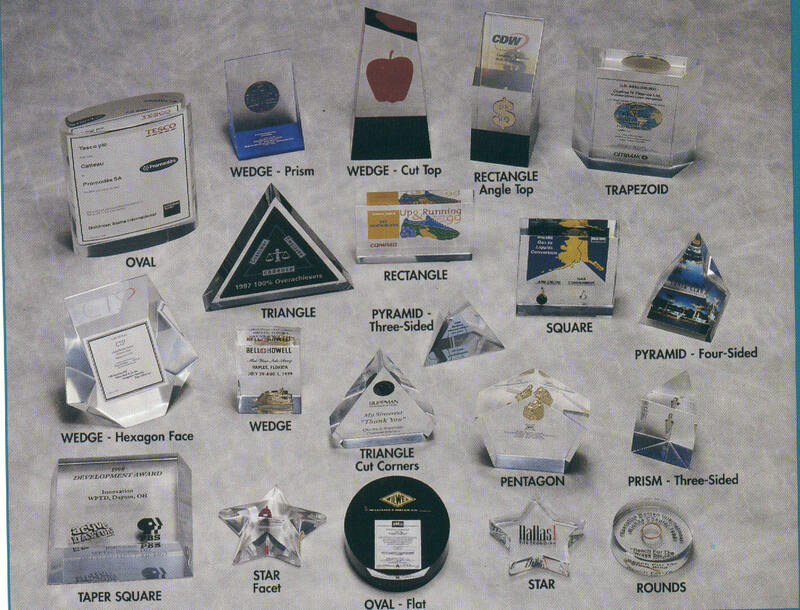 Price for all plaques depends on what final choices are made in the material, engraving plate material, attachments etc. Please contact us for a quote based on your exact needs. 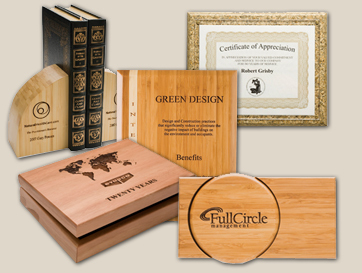 The majority of our wood plaques are manufactured in the U.S.A. The links above will provide you with some general ideas, but is by no means all that is available in the world of awards and personalized products. Ask us if you don't see what you are imagining. A very classy, and classic black glass frame with easy document insertion. #2407 11" x 14" with 8.5" x 11 window. Boxed $82.27 each (certificate is not included in this price but may be purchased separately). 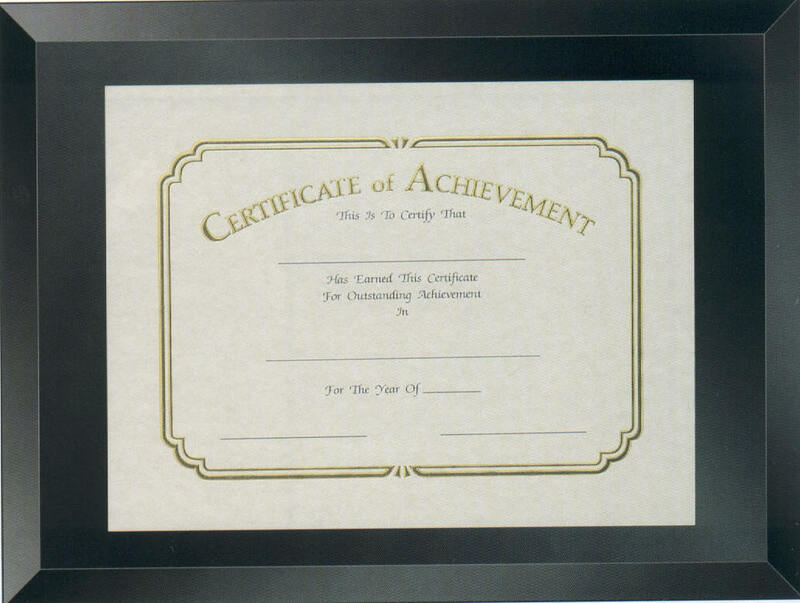 11" x 14" is the largest size available, but this frame does come in sizes to fit smaller certificates. We offer a full line of certificate, photo and document plaques. Various combinations joining your document and an engraved plate are available. Contact us with what you have in mind and we'll share with you what is possible. Sandblasting additional - contact us for personalization options and pricing. Also available are gavels in a variety of woods/finishes and a wide range of sizes from mini key ring gavels to our gigantic 3 foot gavel. 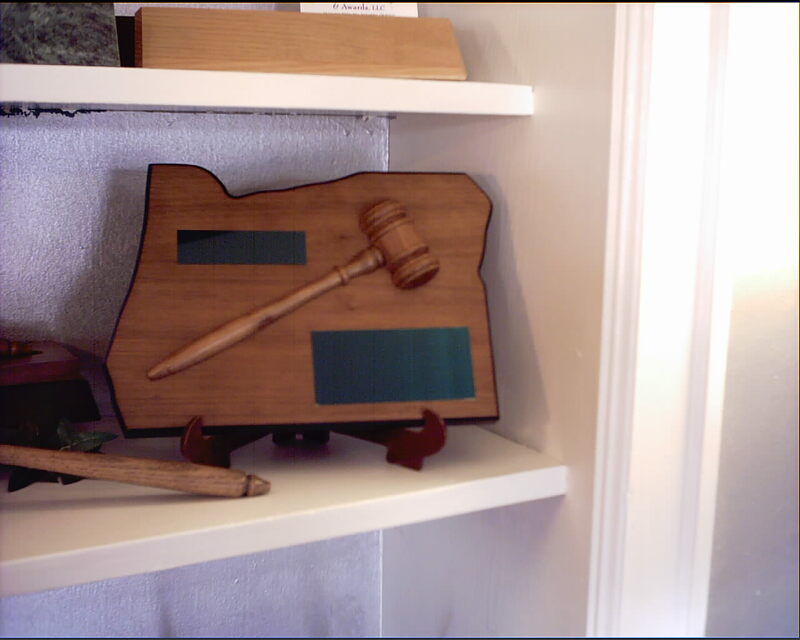 Contact us for more information on the gavel or gavel set you are looking for. 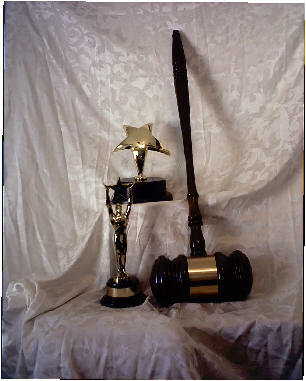 Ask us about renting our giant gavel for your event! We also rent awards for commercial or media type events where you just need background awards for a photo shoot, advertisement or event. Ask us about this service. 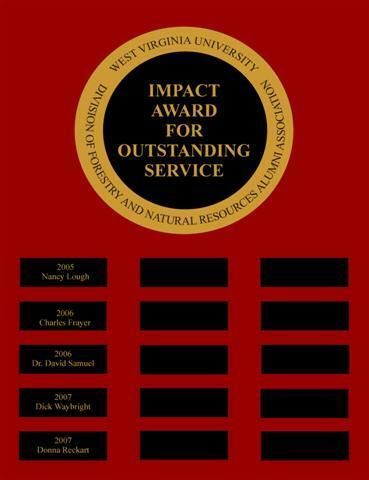 Shown below is just an example of the styles of perpetual plaques available. The example on the left is shown using mahogany finished, American walnut plaques and antique bronze eagle attachments. 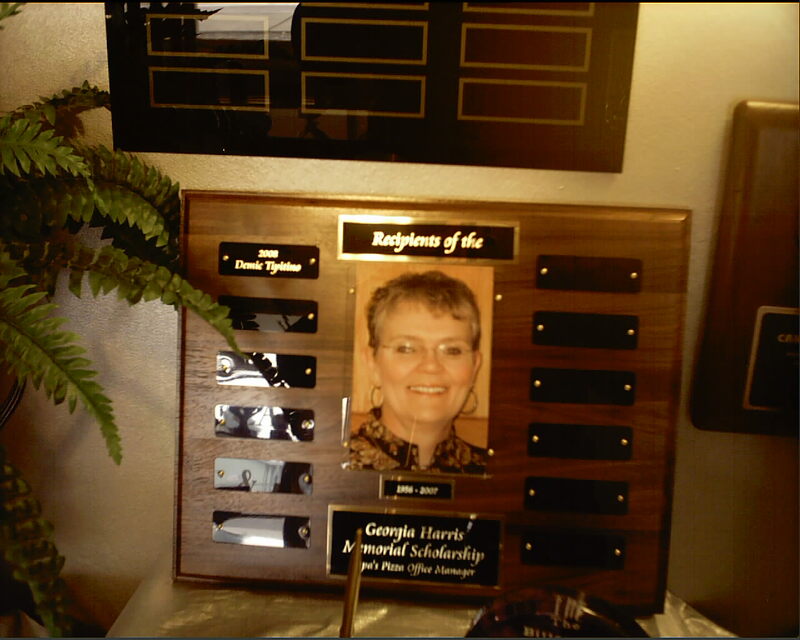 We recommend ordering a smaller plaque in a similar style to the perpetual plaque to give to the recipient. They really appreciate it! 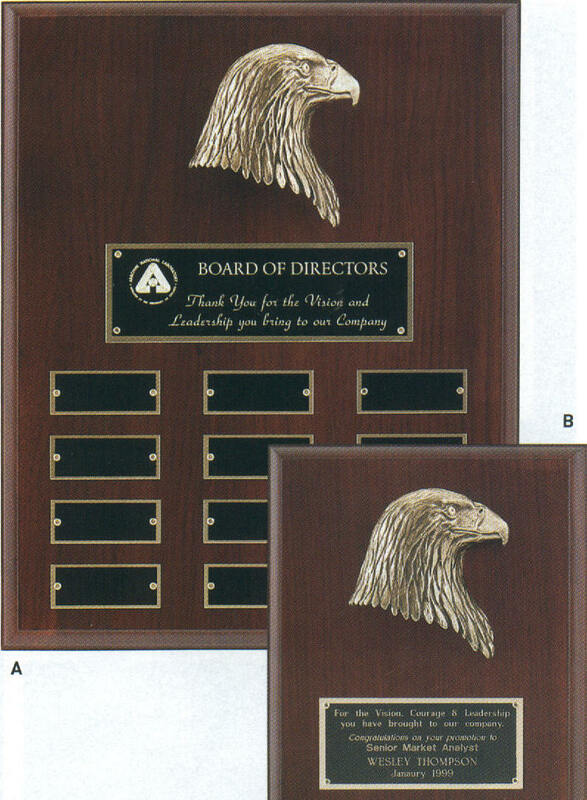 We've had clients who have come back to us to reorder another perpetual because the recipient would not give back the larger award plaque! The plaque shown in the center is a custom layout, including a 4" x 6" photo and a custom engraved plate layout, along with 12 perpetual plates on a 12" x 15" solid walnut plaque. 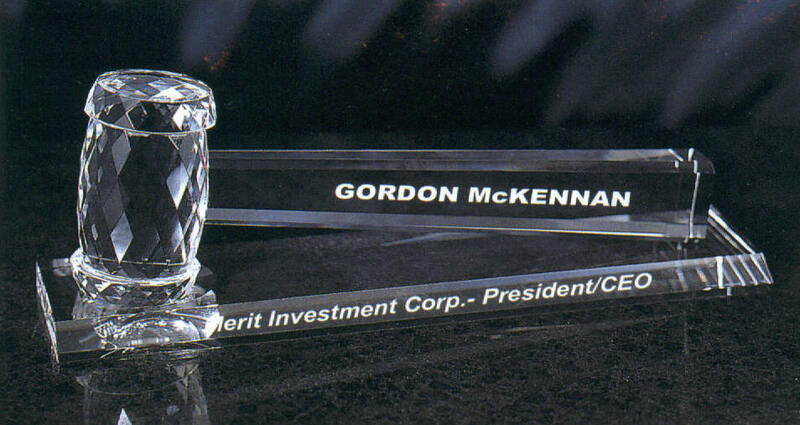 We also offer perpetual plaques in glass, acrylic and many wood choice styles. Custom arrangements are always available. On the right, you can see a paper layout for a custom perpetual plaque and then the final version to the left of that, where we've incorporated the laser process including foil overlays along with the individual perpetual plates. 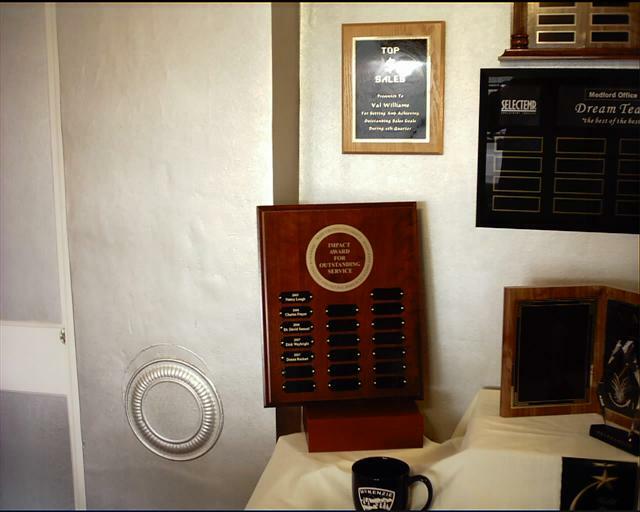 Perpetual awards don't have to be plaques; they can also be figures on large bases with plates for engraving placed around the base for years of additional names. There are many figures to be used, for example, three shooting stars in cast gold to honor your rising stars. Let us know the theme of your perpetual presentation and we will work with you to find the perfect figure. There are so many materials that we use to make our plaques it is impossible to show them all here on our site. 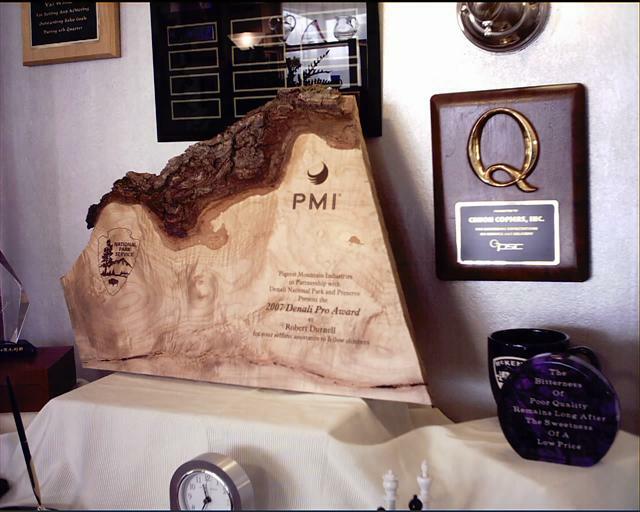 We decided to give a few examples of outstanding plaque styles to just give you an idea of what is possible when we create your special and unique award. Our first example shows a smooth edged, high gloss piano finish ebony plaque with a antique silver frame and a high gloss black brass engraved plate. This plaque also comes in piano finish Rosewood, and other frames & metal colors are available. We have a wide variety of engraving material to use for the center plate. The 10.5" x 13" plaque shown below with the attached frame and engraved plate is priced at $237.15, including engraving. If you wish to include a logo, add $95.00 for logo conversion. Often we will get a request from a client to create a plaque that is truly unique. That is the case for the plaques shown above. The wood slab of Douglas Fir shown on the upper left represented a material the company is famous for, and was approximately 2 feet round. The copy was lasered directly in to the wood, creating a memorable and stunning finished product that was an honor to give & receive. 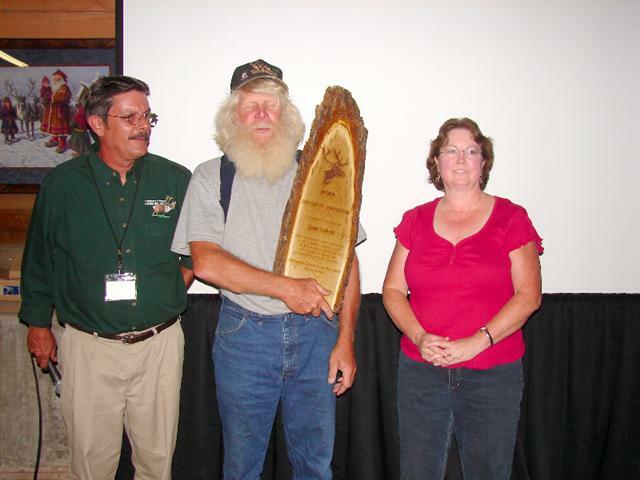 The other plaques shown were particularly chosen in shape and grain to match the purpose of the presentation and each individual recipient. It is not possible to do full justice to glass plaques with a photo. The weight, glow and beauty of glass in a picture simply does not come through. Below is one style of glass plaque in blue tones. Although the blue is beautiful, especially for those of our clients involved with water, outdoors or law enforcement, the favorite in our Emerald City area is the green! Colors the plaques come in are shown under this sample. Glass plaques come in a range of sizes; some styles are available in limited sizing. 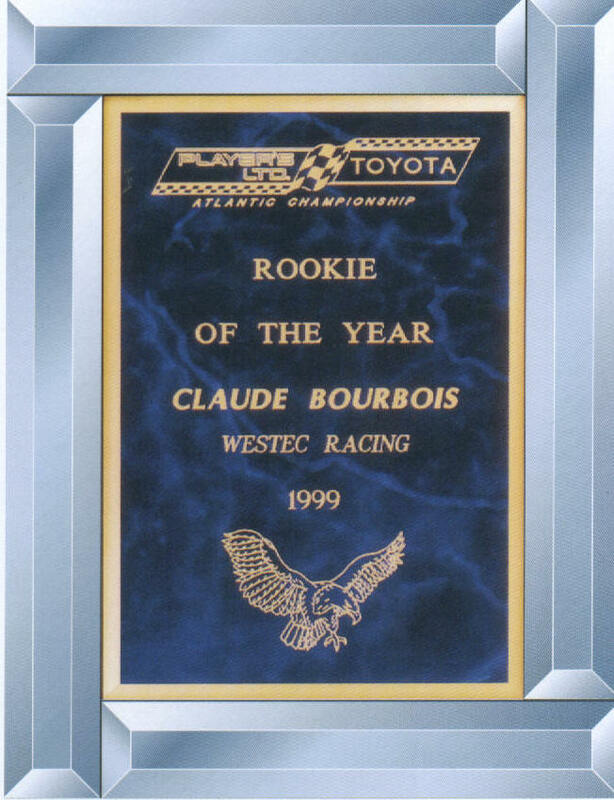 Contact us for more information on glass plaques. The 9" x 12" style shown below is $197.48 & includes the engraved plate. If you have a logo you would like to have engraved, add $95.00 for engraving conversion. 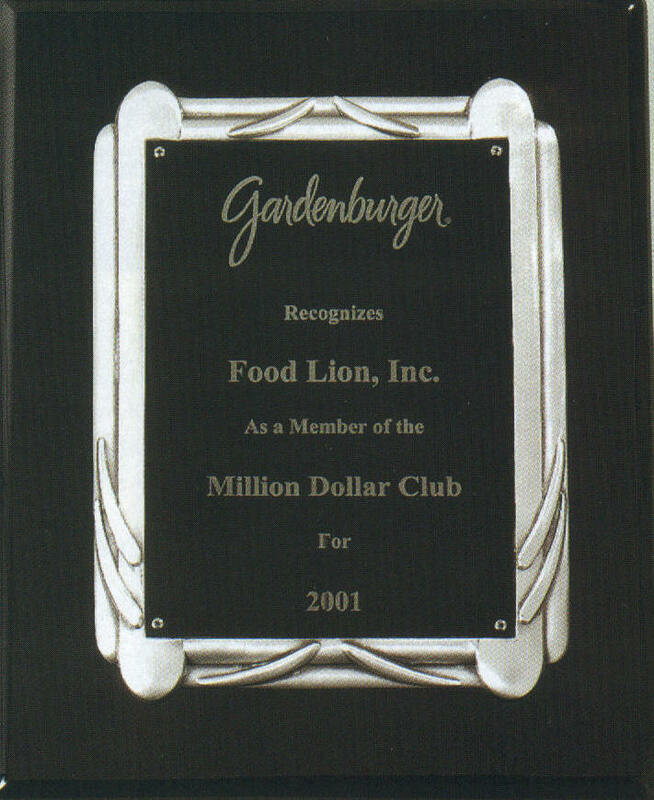 Below is shown a plaque that we designed for one of our clients. 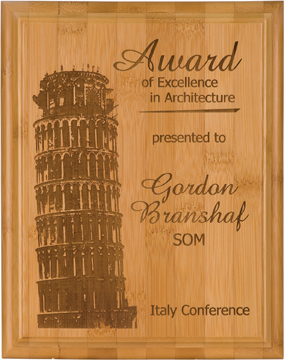 It is a solid walnut 5" x 7", and shows three different processes - laser, attaching an item brought to us by our client on the plaque, and an engraved plate. 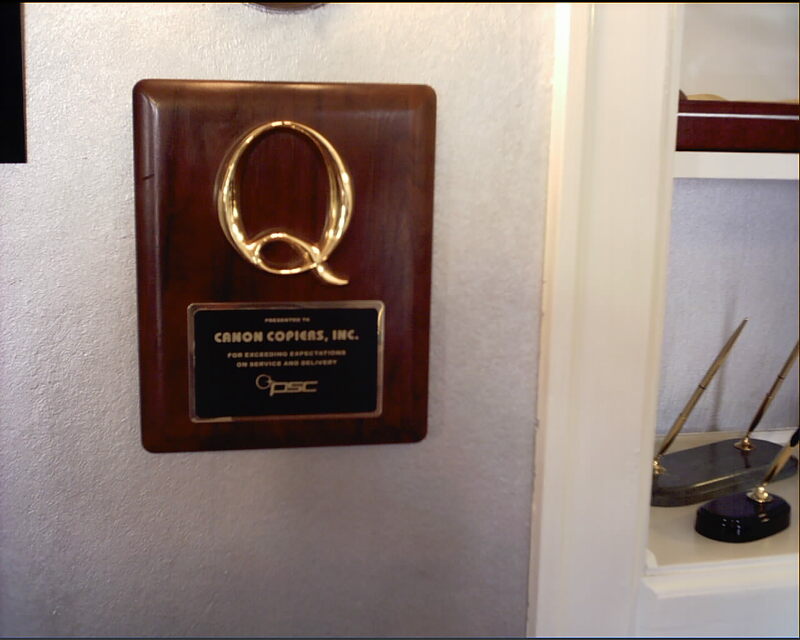 This plaque was created to thank those who worked together to complete a special project, and includes a piece of the old equipment. There are so many possibilities when it comes to creating plaques. We work with many different materials to create a solution to your search for something unique. Contact us with your ideas and we'll share ours with you also. Even our least expensive fiberboard plaques deserve our special touch to give you a high end look on a limited budget. 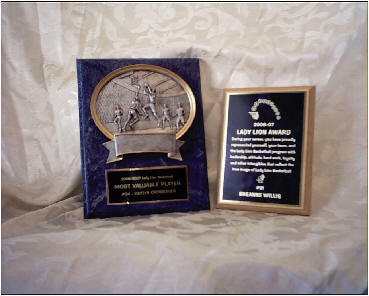 We create our plaques using layouts and materials that will set your award apart from all the rest. You will be proud to present our awards! Fiberboard plaques come in a variety of finishes - marble, walnut, cherry, oak, white with oak or black trim and as you can see by our sample photos, the layouts can be varied. All our plates are backed by at least one back plate of a complimentary color, and for some projects, we find using two back plates really sets off the final product. Embedments are available in unlimited quantities. The greater number you purchase at one time, the less they cost. The most difficult item we have had embedded was a charcoal briquette - did you know when briquettes touch liquid they dissolve? But for us, no problem is insurmountable, so we just had to figure out how to seal the briquette before putting it into the liquid acrylic. And we were successful! Contact us with what you are interested in embedding, and we will get a quote together for you. Depending on the final order specs, most embedment orders take about 5-6 weeks to have in hand from the time we submit the order to the factory. buy in bulk and save!! low cost client appreciation gift! Click on the link below and check out many styles of ornaments you can give to your clients to say Thank You for remaining loyal customers. From simple to elaborate, one color to multicolored, these are true keepsakes that your customers will use year after year. We have many clients that use this idea each year to start a collectible series. What a great 'feel-good' idea! Order before mid-September for delivery in time for the holidays. Rush orders are possible after Sept.